Andrew is a prodigy of the Northern Cape and undoubtedly one of the young business people of note who have an impeccable ambition and drive for business success in the new South Africa. 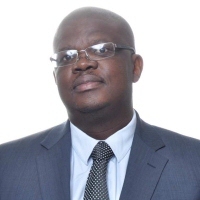 He is the founder and leader of Afri-Devo, a construction and property development company that has now diversified into the renewable energy market through the establishment of Ample Solar. He has since been responsible over the organic growth of the company and also instrumental in successfully mapping out its development vision and strategy. Before founding Afri-Devo in 2005, he had gained vast business experience in leadership management working with top companies such as Toyota SA and the Spar supermarket chain, as well as managing own business establishments in the food and beverages sector. It is his hands-on business approach, coupled with his pro-active personality, analytical mind and communication skills that has led Ample Solar to successfully secure four environmental permits and prime CPA/tribal-owned land in the sunny Northern Cape Province for the establishment of our solar farms – all of it achieved within just sixteen months from the conclusion of environmental studies in these farm areas. Judging by the success of Afri-Devo, with him at the helm, we are confident that Ample Solar will meet its targets and perhaps also hit new frontiers much sooner than we project. Posholi holds a Bachelor of Commerce and post graduate Diploma in Accountancy from the University of Natal in Durban, South Africa. As a qualified Chartered Accountant, he is a member of the South African Institute of Chartered Accountants (SAICA) and a member of the Independent Board of Auditors (IRBA). He began his career as the Production Accountant in the costing department of De Beers consolidated mines and later progressed to Deloitte & Touché where he completed his CA articles. As a senior manager there, his portfolio included key accounts such as the De Beers Société Anonyme Group, Prime Media Outdoor Group, Avusa Media Group, Reunert Ltd. and others. Post articles, he moved to the South African Broadcasting Services (SABC) as the Management Accountant looking after the PBS Portfolio stations and subsequently moved to Avusa Limited (now Times Media) as the Group Accountant responsible over the entertainment, music, books and retail business units. 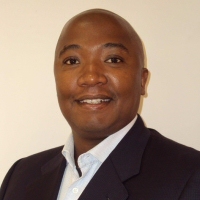 In 2009, Mr. Mapeshoane started EPM Audit & Consulting as a sole director and later became instrumental in the establishment of Ample Solar, where he currently holds the position of Managing Director. His main responsibilities include the management of key commercial aspects of the business, corporate finance and tax, project finance and business development. His valuable experience and energy form the bedrock of our day-to-day strategic management and unbundling of the Ample Solar vision. 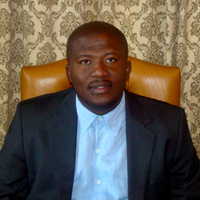 Tefo Maloisane has a Masters in Business Administration obtained from the University of Pretoria (GIBS) his undergraduate studies are a Bachelor of Technology in management from the Durban University of Technology. He has worked for eighteen years in supply chain and commercial at an operational and strategic level with different companies such as The Spar Group. Unilever, Diageo, Heineken, Areva, Peninsula Energy and Afridevo.